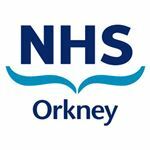 Our vision is to offer everyone in Orkney access to a NHS that provides them high quality care whilst employing a skilled and committed local workforce who are proud to work for us. Our new hospital and healthcare facility will open in 2019 and there are exciting times ahead! If you are looking for a new career in a busy and dynamic environment then this may be the challenge you are looking for. The Facilities Services has an exciting opportunity for Catering Retail Assistants to work at the Balfour Hospital to provide retail assistance in the Balfour Shop. This role requires excellent customer service skills whilst carrying out the day to day running of the shop. At times the role may also include some aspects of restaurant servery operations and food preparation. The Catering Service provides a high quality patient meal service to the Balfour Hospital, providing 3 meals per day for up to 43 patients. A public restaurant service is also provided for staff and members of the public, serving upwards of 100 meals per day. The successful candidate will work as part of a small team, providing a high standard of retail assistance under the direction of the Restaurant Supervisor and Catering Team Lead. This post is subject to a Disclosure Scotland Check The post holder will be required to work towards the Health Care Support Worker Code of Conduct.